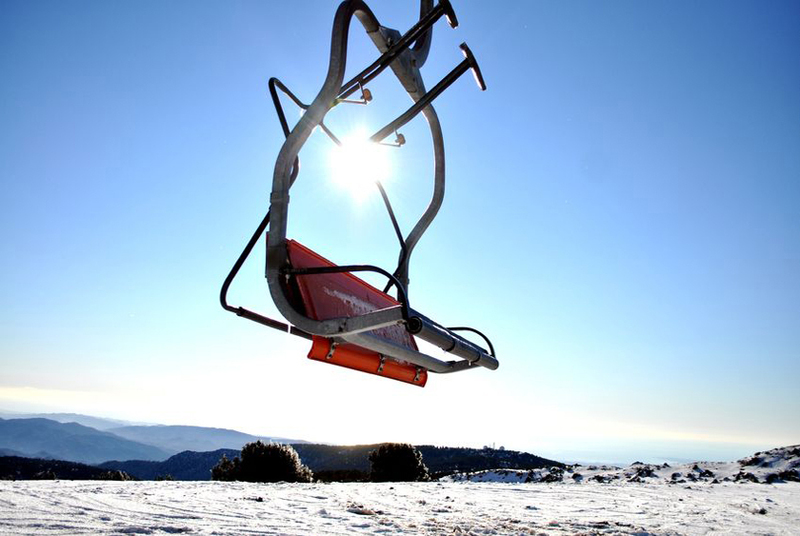 Although Cyprus is a Mediterranean island bathed in glorious sunshine, you can indeed ski there. Troodos Mountain is 2,000 metres above sea level; here we have a ski centre that is open in the winter months.! 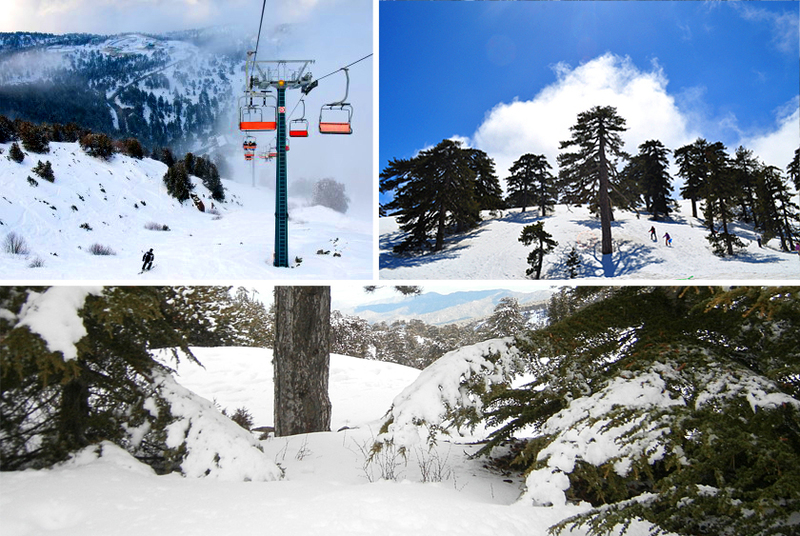 The ski season in Cyprus typically lasts between January and April. 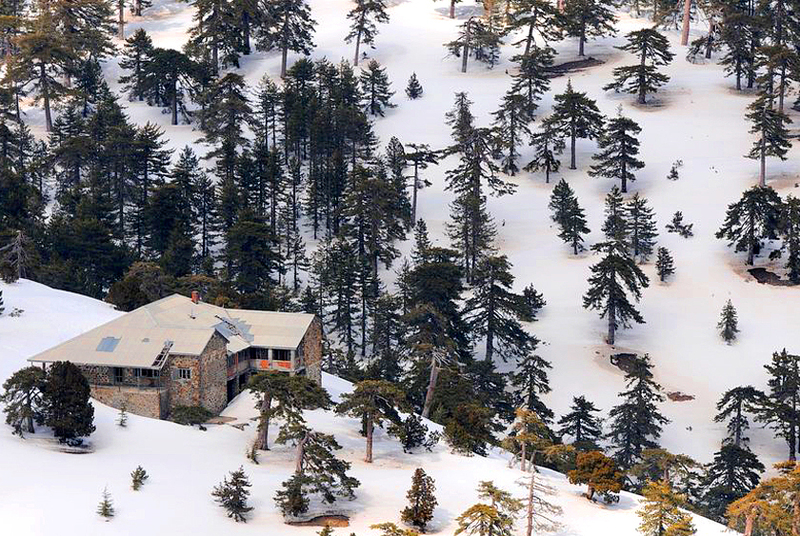 Based on Mount Olympus, with four ski lifts and eight alpine ski runs the Cyprus Ski Club accommodates skiers of all levels on its picturesque runs. It also operates ski schools on site whilst also offering cross-country ski tracks. Equipped with four ski lifts, the ski centre also offers a restaurant and cafes in a pleasant and relaxing environment. 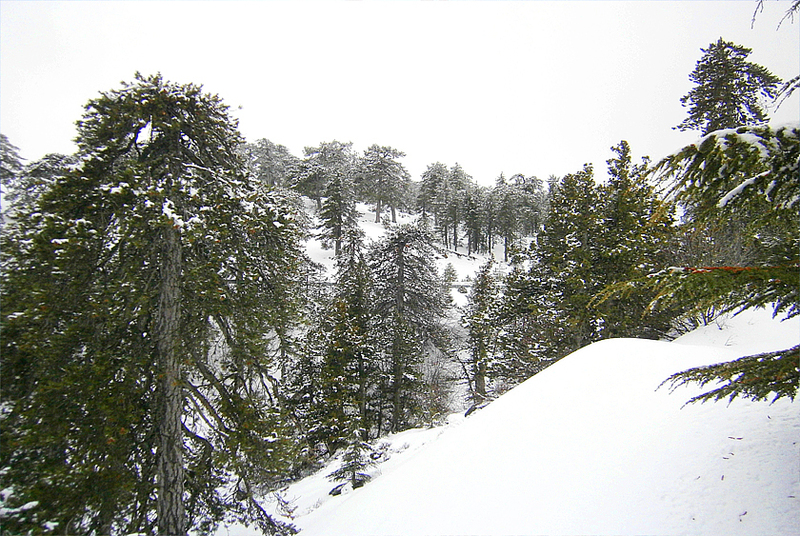 In the Troodos area there are 2 hotels close to the ski resort and many more in the wider area of the region. In the winter you can find bargain prices for these hotels. Mount Olympus is only a few kilometers from the Troodos hill resort and only a short drive to the coastal city of Limassol. 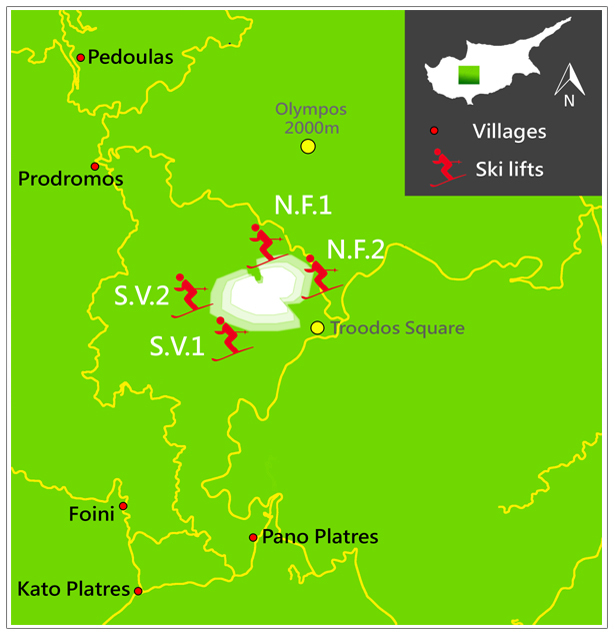 There are 4 ski clubs in Cyprus: Nicosia, Famagusta, Limassol and Troodos ski club. Ski equipment can be rented. There are 4 ski lifts on Mount Olympus: North Face I & II and Sun Valley I & II and operate all week between the hours of 9.am until 4 pm.